We’ve been busy in the garden this Spring. Hopefully the honey bees will appreciate our efforts and visit in the next few days. 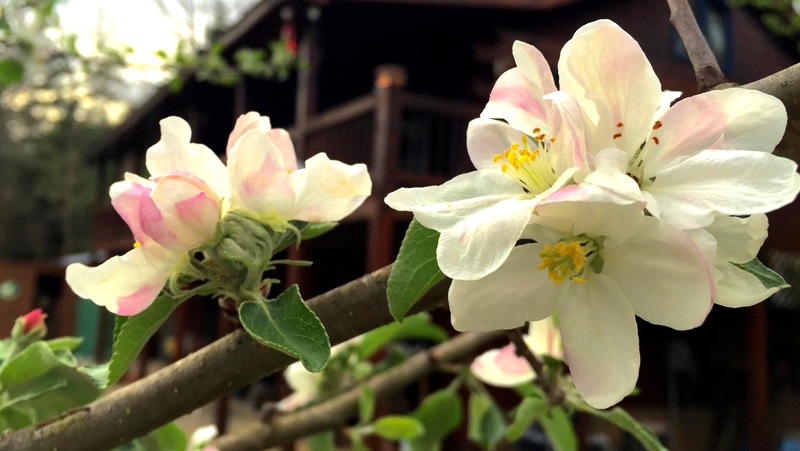 Hope you’re lucky enough to stop and take time to smell apple blossoms. Delicate Spring blossoms remind my heart to turn toward love. As a romance writer, and a young woman in love with my own hero, this season inspires me to cultivate our romance. As the world is renewed with the season, stop your busy mind, turn off your phone, and take time to put in the energy you need to restore your love story with your special someone. When you do, it always pays off. Flowers yield more fruit when the honey bee comes to visit. Our daffodils are past, about four weeks now. Those honey bees are buzzing. Glad you like the apple blossoms. Maybe this fall we’ll enjoy apple pie!! It’s starting to warm up here. My neighbor’s daffodils are blooming. Your apple blossoms are beautiful.